Have you noticed the new “Welcome Back” posters on some of the doors around Manly? What about the big Bingo cards on these posters? As many of you know, the Department and our Student Association host a number of events throughout the year, and 2015-2016 is already packed with lectures, dinners, movies, and more. 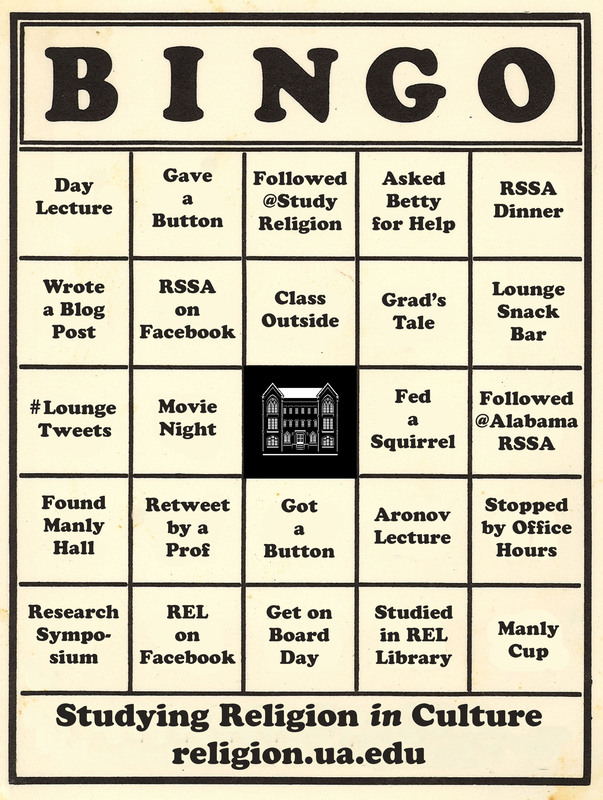 So click here to print off your own REL Bingo card and keep track of all our events throughout the year. Welcome back, and we hope to see you around Manly Hall. This entry was posted in Faculty Blog, Public Events, Relevance of Humanities, Religion in Culture and tagged BINGO, Events, Welcome Back by admin. Bookmark the permalink.